Ready to stop wishing and start doing? TNW Academy’s next online course is all about productivity. 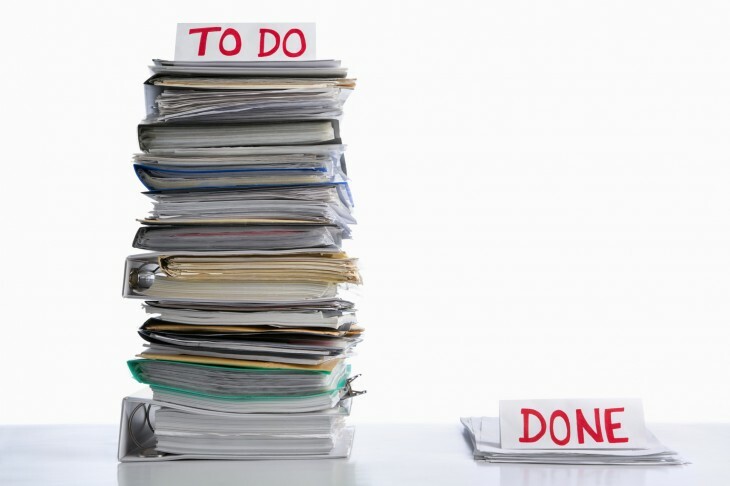 When your to-do list grows, it often feels takes your productivity takes a plunge. Face it: You love distractions. It’s why you spend the slower parts of your workday surfing the Web, checking out social media, and playing games on your smartphone. In fact, just like monkeys, you get a shot of dopamine every time you’re distracted and pulled in a new direction. If you’re having trouble getting a grip on your focus and improving your productivity, you’re not alone. Hoping for secret tricks to get your productivity in gear? Think again. It really just comes to down quitting multi-tasking and learning do one thing at a time. To get some productivity insight, I sat down with Tony Wong, a project management blackbelt whose client list includes Toyota, Honda, and Disney. He’s an expert in keeping people on task. Scribbling “launch website” at the top of your to-do isn’t going to do you any favors. Take your main goals and break them into milestones and then down further into tasks. This will allow you to create more specific tasks that can be accomplished in smaller chunks of time. For example, sketching a wireframe, outlining an introduction for the homepage video, etc. These are goals you will actually succeed in crossing off your list. Sure, you may think you’re an “expert multi-tasker,” but changing tasks more than 10 times a day makes you dumber than being stoned. When you’re stoned, your IQ drops by five points. When you multitask, it drops by an average of 10 points — 15 for men, and five for women. It’s time to kiss your multi-tasking days goodbye, especially if you’re a man. If holing up in your office will keep you focused, then do it. Lock your door, put a sign up, turn off your phone, email, and instant messaging. If you’re still easily distracted, go offline or even turn off your Internet connection. Still struggling? Go to the quietest distraction-free area of your office until you’ve completed the task. Your productivity is bound to suffer if you’re using email for conversation. If you’ve replied more than twice to an email, it’s time to pick up the phone and get to the bottom of things. It’s amazing what a simple phone call can do to enhance your focus when it comes to completing a required task. 6. Set your own agenda. One of the top productivity mishaps is letting others schedule your day for you. Don’t start your mornings by diving right into your inbox and having a panic attack. Instead, start your day with a workout, eat a good breakfast, and take a moment to prioritize your own goals without letting anything else distract you. 7. Work in 60- to 90-minute intervals. If you’re feeling a little burned out throughout the day, it’s because your brain uses up more glucose than any other bodily activity. Typically you will have spent most of it after 60 to 90 minutes. Remedy this occurrence by taking more breaks to keep you fresh. Leave your desk, go for a walk, grab a snack, or just do something completely different to recharge. This also means you need an extra hour for breaks, not including lunch, so if you’re required to get eight hours of work done each day, plan to be there for closer to 10 hours. Productivity may be challenging to achieve, but it really comes down organizing, prioritizing, and avoiding distractions.